← The 2014 Coffee Moment for Me. Kicking 2015 Into Full Travel & Coffee Gear. A belated Happy 2015 to all! Hope everyone has had a great start to the year. Sorry I have been scarce. Over the last month I’ve enjoyed the holidays and laid low as well as spent some time bouncing around Lake Michigan checking out lighthouses and resort towns in Michigan. 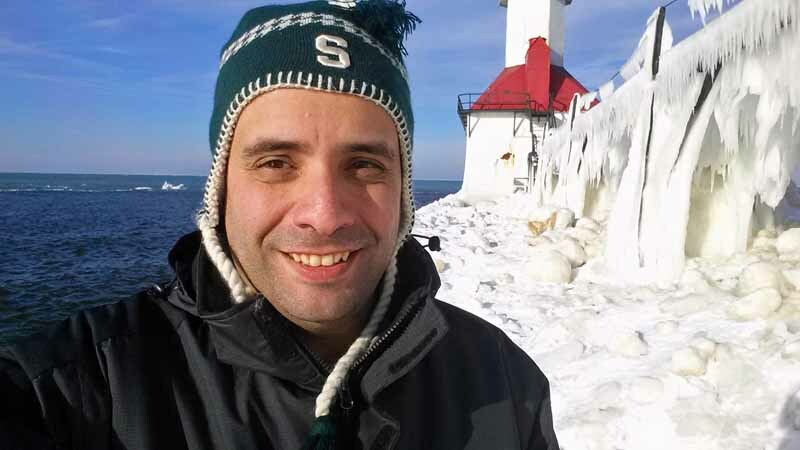 I’ve been active as a Contributing Writer on The Awesome Mitten as well as recently writing my first guest post for the Pure Michigan blog. St. Joseph, Michigan lighthouse along Lake Michigan. It’s now time to kick the coffee consumption and elATLboy adventures and writing back into full gear. In addition the process has begun in figuring out where I want to take this blog going forward. There will be lots of Michigan travel ahead, with Atlanta, the Great Lakes region and long distance trips having their place as well. I look forward to what the rest of the year will bring in terms of this blog, travel and coffee consumption. Hope to see you “Out on the Open Road” along the way! This entry was posted in coffee, travel and tagged 2015, 2015 travel, coffee, travel. Bookmark the permalink. The coffee we had in New Zealand and Australia during our recent was the best we have ever had. Was that your experience when you were there? Their creativity in preparing it was over the top…think espresso with a scoop of vanilla gelato!